Is Honduras “returning to the terror in the 1980s”? That’s what Dr. Luther Castillo told NCR in an interview. Evidence supports his assertion, and today’s terror, just like 30 years ago, has U.S. ties. Central America was a flashpoint in the Cold War and in the 1970s and 1980s. Honduras was the staging ground for the U.S.-backed covert war against leftists in the region. Honduras was the de facto U.S. military base for Contras fighting the Sandinistas in Nicaragua. Inside Honduras, U.S.-trained military units — most especially the notorious Battalion 316 — carried out a campaign of torture, extrajudicial killing, and state-sponsored terror against Honduran civilians. Don’t miss the latest articles from NCR political columnist Michael Sean Winters: Sign up to receive free emails. Castillo is among Honduran activists now under threat of personal danger because they are calling for new elections, claiming that incumbent President Juan Orlando Hernández and his National Party rigged the Nov. 26 election and then imposed martial law to stifle protests. But then the shenanigans began. The election tribunal, which is controlled by Hernández’s National Party, went mysteriously quiet for 36 hours. Reports of a “computer glitch” spread. When ballot counting resumed, Nasralla’s lead had evaporated. Hernández eventually pulled ahead and was declared the winner. Calling for a new, clean election, Hondurans protested in the streets, watched over by rows of navy, army and police officers carrying riot shields. The government suspended constitutional rights for 10 days and imposed a 6 p.m. to 6 a.m. curfew, arresting anyone, including journalists, who violated it. Before Christmas, squads of police and soldiers cleared blockades set up by protesters in the capital and the countryside. At least 12 people were killed and hundreds more detained at military installations, where they were “brutally beaten,” according to human rights experts at the United Nations and the Inter-American Commission on Human Rights. Despite all this, the Trump administration recognized Hernández as the winner Dec. 22. Days earlier, Secretary of State Rex Tillerson had certified that the Honduran government has been combating corruption and supporting human rights, paving the way for Honduras to receive millions of additional U.S. dollars, including about $17 million for Honduran security forces. The certification ignores cases of government corruption and the assassinations of environmentalists, indigenous leaders and journalists, extensively documented by two major studies last year. The London-based watchdog organization Global Witness called Honduras the deadliest place on the planet to be a land or environmental activist. The Hernández government never prosecuted the killers of the country’s most prominent activist, Berta Cáceres, who spearheaded efforts to stop the plundering of indigenous lands by hydroelectric, mining and logging interests. In a very real sense, the Obama administration — particularly then Secretary of State Hillary Clinton — laid the foundation for Hernández’s victory by turning a blind eye to the toppling of Zelaya, who they thought was too close to Bolivian President Evo Morales, Venezuelan President Hugo Chávez and other left-leaning Latin American leaders. By refusing to recognize Zelaya’s ouster as a military coup, Clinton kept Honduras on the military aid and training gravy train. Longtime observers of Central America will know that since the 1980s, nearly 5,000 officers from Honduras have been trained at the U.S. Army’s Western Hemisphere Institute for Security Cooperation, or WHINSEC, formerly known as the School of the Americas. Graduates of this school hold key positions in the Honduran government and security forces and have been implicated in numerous coups, human rights abuses and suppression of democracy. Today, the boogeyman of communism that haunted the region in the 1980s is gone, but the institutions and power centers set up in Honduras decades ago remain entrenched, and now environmental activists and indigenous rights leaders are targeted for threatening the political-economic status quo. “We know it’s the U.S. that runs Honduras,” and it is “co-responsible” for the human rights abuses and fatal shootings following the latest presidential election, says Nasralla — who could very well be the legitimate victor in the presidential election. By legitimizing a stolen election, ignoring the rare Organization of American States call for new elections and refusing to condemn the post-election crackdown by the (U.S.-trained) military, the U.S. is again perpetrating violence that ultimately hurts its own self-interest, but, more importantly, continues the oppression of Hondurans. Early in Hillary Clinton’s primary contest against Bernie Sanders, Berta Cáceres, an indigenous environmental leader in Honduras, was murdered by a coup regime that Clinton, as Secretary of State, helped consolidate in power. Apart for one quick statement denying any wrongdoing—“simply nonsense,” a spokesman said of the charges that Clinton was in anyway responsible for Cáceres’s killing—the Clinton campaign largely ignored the issue. As far as I know, the only journalist who asked Clinton directly about Honduras was Juan González, during Clinton’s interview with the editorial board of the New York Daily News. Clinton provided a wordy and vague answer. She admitted that the situation was bad, that activists were being slaughtered, but insisted that at the time she “managed a very difficult situation, without bloodshed, without a civil war, that led to a new election. And I think that was better for the Honduran people.” For the most part, criticism of Clinton on Honduras largely stayed on the margins of the primary process, even as the killing in Honduras continued and evidenced mounted that Washington was once again was funding old-school death squads (see the invaluable investigation by Annie Bird). Now, having beat back that part of the Democratic rank-and-file that cares about dead feminist activists in small third-world countries, the Clinton campaign has gone full Sun Tzi, turning its Honduran weak point into a strength, or, à la Karl Rove, its vulnerability into a virtue. In picking Virginia Senator Tim Kaine as her running mate, the campaign has front-and-centered Honduras—not as a victim of Clinton’s realpolitik neoliberalism but as a sacred space of healing poverty. Kaine, a Catholic, spent nine months in Honduras, from 1980 to 1981, in the Jesuit mission in El Progreso, very close to the company towns and plantations of the storied multinational banana company, United Fruit. The sojourn, Kaine says, changed his life. Honduras “was really the turning point in my life. I was at Harvard Law School and didn’t know what I wanted to do with my life. And I took a year off and worked with Jesuit missionaries in Honduras,” Kaine told CNN’s Candy Crowley. “Every day I think of the lessons I learned from my friends there,” Kaine said elsewhere. The experience, he says, set him on his life’s journey to fight for social justice. Honduras “made him who he is,” said Kaine’s mother, Kathleen. As soon as Clinton announced her pick, the liberal press converged, following the Clinton campaign’s talking points that spun Kaine as a progressive. “A Pope Francis Catholic.” Fine. To be expected. But that Honduras—Honduras!—is being highlighted as the beginning of Kaine’s conversion narrative truly is audacious. Kaine, then twenty-two years old, showed up in Honduras during an especially consequential moment. The country in 1980 was quickly turning into the crossroads of Cold War. A year earlier, next door, Nicaragua’s Sandinistas had won their revolution. 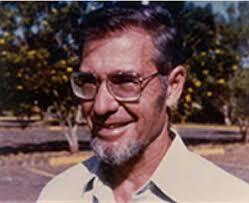 Father James Carney, a Chicago-born Jesuit priest who was executed in Honduras in 1983, recalled the moment in the Spanish-version of his memoir (published in English as To Be a Revolutionary): “If Nicaragua won, El Salvador could win, and then Guatemala, and then Honduras could win.” Carney said that in early 1980, El Salvador’s Archbishop Oscar Romero, himself soon to executed, had declared that all conditions had been met for Christians to join the revolution: Life had become intolerable; All non-violent avenues of reform had been tried and failed; And, considering the misery in which most people lived, it would have been impossible for the revolution to produce injustices worse than those that already existed. “The popular war for liberation in Central America was one single war,” Carney wrote. office in January 1981, and appointed John Negroponte ambassador to Honduras. Negroponte, who later in his diplomatic career would move on to larger operations in Iraq, helped cover up the activities of Battalion 316, a death squad that disappeared scores of Hondurans. On May 14, 1980, Salvador’s National Guard, along with a paramilitary unit, slaughtered at least 300 people trying to flee into Honduras across the Sumpul River. On December 11, 1981, the US trained Atlacatl Battalion massacred upward of 900 people in the remote Salvador village of El Mozote. Throughout the region, including in Honduras, “multinational ‘hunter-killer’ squads on the Condor model” began claiming victims. Thousands of refugees, from Guatemala, El Salvador, and Nicaragua, poured into Honduras. It was into this whirlwind that young Tim Kaine flung himself on his voyage of self-discovery. The Jesuits were dragged out in the yard in front of their campus home and were shot in the head, on November 16, 1989.
history, psychology, and anthropology, and then use that knowledge to work for social justice. 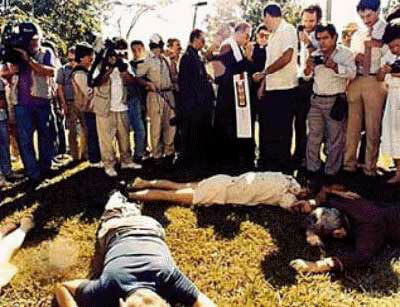 The most well-known among this group were the six Jesuits who would be executed in San Salvador in 1989 by the Atlacatl Battalion (the same U.S. trained battalion that committed the El Mozote massacre). 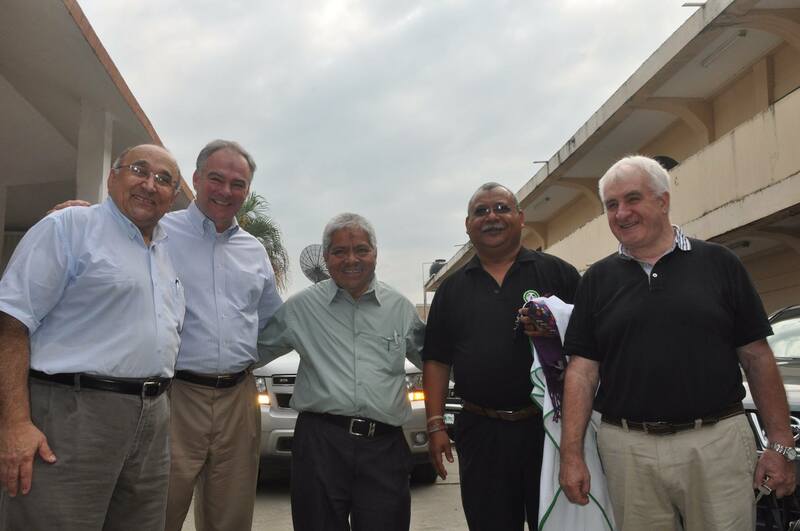 In interviews, Kaine says his mentor in El Progreso was Father Jarrell “Patricio” Wade—known as Padre Patricio—a Jesuit who spent nearly his whole life ministering in Honduras and who passed away there in 2014 at the age of 81. By all accounts, Wade was a decent, caring, and well-liked cleric—a “bear of a man,” remembers Boyer—but his ethics were more pastoral than political. Father Carney says that Wade blamed his political work with peasants for provoking the growing repression against priests. A “traditional Jesuit,” remembers Boyer, unable to see the need for structural change. Kaine, in other words, had found himself in the cauldron of the Cold War. “It was hot,” Boyer remembers of the Jesuit debates over what the proper course of action should be. None of this, however, comes across in anything Kaine says about his time in Honduras. Kaine didn’t run for public office until the 1990s, so there is no public record of what his opinion was of the Contra War, or the Guatemalan genocide, or the 1989 murder of the Jesuits in El Salvador, or what his Honduran mentors thought of Pope John Paul II’s efforts to neutralize Liberation Theology. Rather, Kaine, who has been talking about his time in Honduras at least since the early 2000s, when he was mayor of Richmond, uses his nine-month stay as a kind of platitudinous catch-all, to prove he is a true Christian to Virginia conservatives, to court the Latino vote, and, now, to convince rank-and-file Democrats he’s a progressive. That dictatorship was created and maintained by the US, a fact lost in Kaine’s uplift. Here’s a report from NACLA from 1981: “Honduras almost outdoes the stereotype of a banana republic. The vast plantations run by United Fruit (now United Brands) envelop the countryside, while Honduras is second only to Haiti in per capita poverty. It has seen 150 governments in 160 years, and spent the last 18 under military rule.” It should be noted that that 18-year dictatorship was installed by the JFK administration, in a coup, one of many in Latin America brokered by Washington following the Cuban Revolution. In 1980, exactly the moment Kaine landed in El Progreso, Honduras “was the second largest recipient of U.S. economic assistance to Latin America, despite a sparse population of three million. It has received $3.5 million in military aid since April 1980, with $10.7 million projected for fiscal 1982.” Happiness indeed is not that correlated with wealth—or at least the wealth that comes in the form of military aid from Washington. 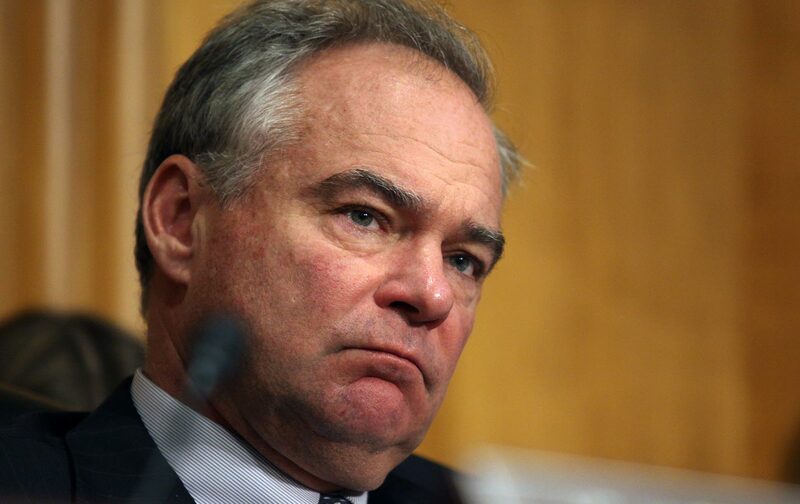 All this Christian charity would be fine, had Kaine, during his time in public office, especially as Senator, taken political action to help make food less expensive in Honduras. But he supports NAFTA and the Central American Free Trade Agreement, CAFTA. Though he wasn’t in the Senate yet to vote on those treaties, he says anyone opposed to free trade exhibits a “loser’s mentality.” So while Kaine is decent on immigration, and has signed on a letter to Secretary of State, John Kerry, asking for an investigation into Berta Cáceres’s death, he has consistently supported economic and security policies that drive immigration and contribute to the kind of repression that killed Cáceres. Kaine helps the Clinton campaign transform Honduras from a real place, engaged in political struggle, into an imaginary kingdom of banality. 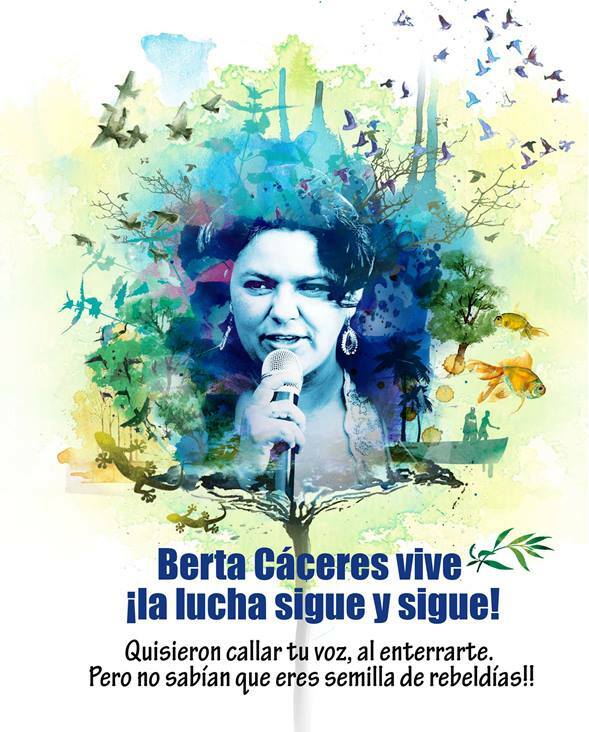 The sharp political and economic analysis of someone like Berta Cáceres, who before her death named Hillary Clinton and US policy as responsible for Honduras’s terror regime, is converted into the virtues of anonymous poor people offering up their ever-more costly (thanks to CAFTA) food as a life lesson in humility. It’s a neoliberal Eat, Pray, Love. Or, better, Eat, Pray, Starve. Why Is Hillary OK With Honduran Death Squads? hen a Honduran death squad gunned down internationally-honored environmental activist Berta Caceres, 44, a retired teacher and mother of four, in her home on March 3, the media-filtered world as we know it took note, briefly, expressed some regret, provided little context, and moved on. The outcry from rest of the real world included demands from the UN, more than 20 U.S. Congress members, and hundreds of NGOs for an independent investigation of this political assassination [a 2014 letter from 108 congressmen to Secretary of State John Kerry calling for the U.S. to address human rights abuses in Honduras had little impact]. Now, in response to a similar request, the U.S. has sent FBI agents to help the Honduran government, whose first action was to detain the only witness, Gustavo Castro Soto, himself shot twice in the same attack (and still in Honduran custody two weeks later). What our media-shielded world mostly did not note is that Honduras is one of the original banana republics, long open to corporate plunder under the protection of the U.S. government. Nor was there much attention to longstanding political corruption in Honduras with its “elected” puppet government and major American military presence. Also omitted generally was how Honduras has served as a main base of American military operations at least since the Reagan administration’s illegal and war-crime saturated war against Nicaragua in the 1980s. Several hundred U.S.Marines are deployed in Honduras with official missions to train Hondurans and fight the war on drugs (similar to the missions of 3,500 Marines in Peru and others elsewhere), consistent with U.S. military expansion in Central America during President Obama’s first term. So why are Honduran children fleeing in the first place? Perhaps the most interesting contextual aspect of the Berta Caceres assassination is that it’s an extension of American “engagement” in Honduras and provides a lucid paradigm of foreign policy as Hillary Clinton practices it. On June 27, 2009, Honduras had a legitimately elected president, Manuel Zelaya, himself a multi-millionaire oligarch, who was accused of instigating a months-long power struggle over whether he could extend his term-limited presidency by democratic but constitutionally-challenged, nonviolent means. Zelaya denied this intent, saying he would leave office as scheduled in January 2010. His opposition, including the Congress, attorney general, and Supreme Court, were holding their own in June. Congress had begun to consider impeachment. The stated issue was apparently not the real issue. In the mid-1970s, Zelaya’s father had been convicted for taking part in the massacre of at least 15 priests, students, and other protestors, killed by Honduran military forces. Victims’ bodies were burned, castrated, and otherwise mutilated. In 1980, Zelaya’s father was freed by an amnesty after less than two years of a 20-year sentence. Zelaya, during his rise to the presidency, was accused of embezzling all or part of a missing $40 million, but he was not prosecuted. He won the presidency in 2005 with 45.6% of the vote. Zelaya ran as a traditional Honduran conservative from the Liberal Party and seemed at first to be no great threat to the Honduran sense of order, control, and wealth distribution. The National Party accused the Supreme Electoral Tribunal of gross errors and contested Zelaya’s 3.4% margin of victory, only to concede the election ten days later. Once in office, Zelaya started doing things that displeased the elites as well as the United States. He led Honduras to join ALBA (the Bolivarian Alliance for the Peoples of Our America), founded in 2004 by Venezuela and Cuba to promote social, political, and economic integration of Latin countries. Although the U.S. remained Honduras’s main trading partner, Zelaya pursued expanded trade with Oceania and Africa. His foreign policy included improving relations with Hugo Chavez and Raul Castro. This alienated Honduran business elites, as did his other initiatives, including: education for all children, subsidies to small farmers, lower bank interest rates, an 80% increase in the minimum wage, and numerous programs that reduced poverty by 10% in Honduras (one of the world’s poorer countries with a 62.8% poverty rate in 2014, substantially higher than when Zelaya was in office). For three years, Honduran mass media, owned by just six families (media concentration similar to the U.S.) provided little unbiased coverage, leading Zelaya to invoke a little-used law to force the media to carry government broadcasts. On June 28, 2009, Honduran military forces seized President Zelaya and took him to a nearby U.S. military base. From there, Zelaya was sent into exile in Costa Rica, setting off protests around the region and the world, including a UN General Assembly resolutionon June 30, with Zelaya present at the UN (in Washington, Obama officials refused to meet with him). The resolution, agreed to by consensus, unanimously condemned the coup and demanded immediate, unconditional restoration of democratically-elected President Zelaya. The U.S., by choosing not to block the consensus, managed to avoid voting for or against a resolution that condemned its own proxies’ actions. At least part of the explanation for U.S. duplicity was made clear in an email to Clinton from Tom Shannon, Assistant Secretary for Western Hemisphere Affairs, saying that he planned on “calling the new SouthCom Commander to ensure a coordinated U.S. approach [since] we have big military equities in Honduras through Joint Task Force Bravo at Soto Cano airbase.” Coincidentally or not, Shannon was in Honduras a week before the coup, consulting with the military and civilian groups later involved in the coup. Given the longstanding, close, bi-partisan ties between U.S. and Honduran governments, especially their military establishments, it is all but inconceivable that high-ranking officials in the Obama administration, perhaps Obama himself, did not have at least some advance notice of (if not involvement in planning) the coup. How else does the Honduran military take a president at gunpoint and fly him to a U.S. military base only to be welcomed with open arms? The Obama administration has never offered a credible, principled explanation for indirectly supporting and directly securing the Honduran coup. Early on, President Obama gave appropriate lip service to opposing the coup: “We believe that the coup was not legal and that President Zelaya remains the democratically elected president there.” By avoiding calling the transparent military coup a “military coup,” Obama avoided triggering an American law that would have imposed significant sanctions against Honduras and especially the Honduran military. Instead, the Obama administration applied only token sanctions, did little to resist Republican support for the coup government, maneuvered to take the issue out of public view, and acted as if the Honduran government’s investigation of itself was sufficient response. The point person in this exercise in anti-democracy was Secretary of State Hillary Clinton, who described her actions in her official autobiography “Hard Choices” (now out in paperback with the Honduran section scrubbed). I got lots of signals last week that we are losing ground in Latin America every day the Honduras crisis continues; high level people from both the business and the NGO community say that even our friends are beginning to think we are not really committed to the norm of constitutional democracy we have worked so hard to build over the last 20 year [sic]. The current stalemate favors the status quo; the de facto regime has every incentive to run out the clock as long as they think we will have to accept any post-election government. I urge you to think about taking bold action now to breathe new life into the process and signal that regardless what happens on the Hill, you and the president are serious. No such seriousness was forthcoming from the administration. Clinton, with no interference from Obama, played out the clock until bogus elections, held under the complete control of the coup government, could produce a result satisfactory to the U.S. The State Department kept negotiations alive among a variety of parties (including Zelaya and Micheletti) until it was effectively too late to have a meaningful democratic election. During September and October, Micheletti suspended five basic constitutional rights (including freedom of association, movement, speech, and personal liberty, as well as habeas corpus). On October 30, a joke of an “agreement” was announced by mediator and Costa Rican president Oscar Arias. Under this agreement, Zelaya was to be reinstated, almost powerless, in the final weeks before the election, which would remain under the control of the coup government, and even this farce included its own poison pill: the requirement that the Honduran Congress approve Zelaya’s temporary reinstatement. Not surprisingly, the agreement was never realized, in part because four days later, the U.S. said it would honor the coup government’s “elections” whether Zelaya was ever reinstated or not. 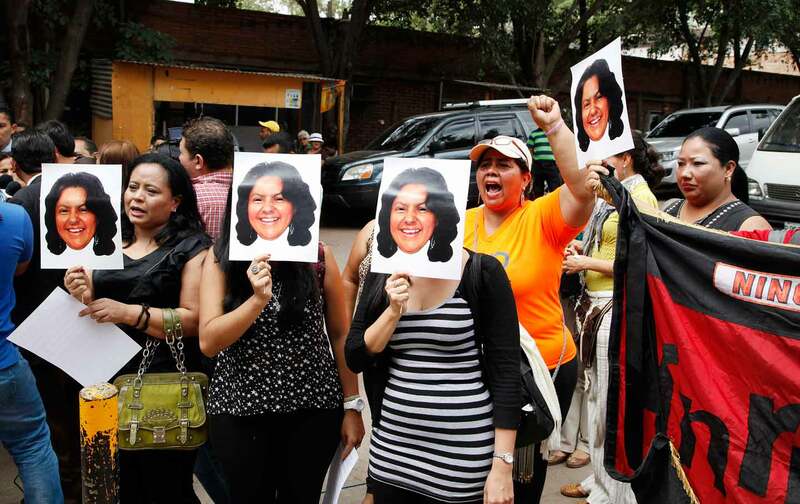 So much for the restoration of democracy in Honduras under Secretary Clinton. What good is an election that doesn’t confirm the power structure? The turnout (probably a record) and the clear rejection of the Liberal Party shows our approach was the right one, and puts Brazil and others who would not recognize the election in an impossible position. As we think about what to say, I would strongly recommend that we not be shy. We should congratulate the Honduran people, we should connect today’s vote to the deep democratic vocation of the Honduran people, and we should call on the community of democratic nations (and especially those of the Americas) to recognize, respect, and respond to this accomplishment of the Honduran people…. As president, Lobo presided over the further descent of Honduras (literally “the depths”) into violence, chaos, and corruption. Political assassinations now run to the hundreds as Honduras has achieved the highest murder rate in the world. Lobo (and now his dubious successor) have nurtured a vicious but U.S.-friendly government that has allowed its country to grow so violent that Hondurans flee northward by the thousands, while those who stay behind to resist are murdered by the hundreds. The environmental organization Global Witness, which tracks assassinations of environmentalists worldwide, found Honduras the most dangerous country per capita for environmental activists. We strategized on a plan to restore order in Honduras and ensure that free and fair elections could be held quickly and legitimately, which would render the question of Zelaya moot. In retrospect, the “strategy” failed to restore order, ensured no free and fair elections, nor any legitimate election – but it did effectively legitimize a military coup undertaken in America’s interest (as in Haiti or Egypt – sorry, Madagascar). Well, that’s just one horror. I mean, hundreds of peasant activists and indigenous activists have been killed. Scores of gay rights activists have been killed. I mean, it’s just—it’s just a nightmare in Honduras. I mean there’s ways in which the coup regime basically threw up Honduras to transnational pillage. And Berta Cáceres, in that interview, says what was installed after the coup was something like a permanent counterinsurgency on behalf of transnational capital. And that was—that wouldn’t have been possible if it were not for Hillary Clinton’s normalization of that election, or legitimacy. Of course, it was also Obama’s discreet blessing of a predator state that keeps Honduras bleeding. There’s blood enough for his hands as well as Clinton’s and all the apparatchiks at the White House and State Department who enthusiastically helped this enduring crime against humanity go down. And now there is another victim that we know about among the hundreds still unknown. On March 15, another death squad (or perhaps the same one) shot a man four times in the face in his home. He was a member of the same indigenous people’s organization as Caceres (she is one of 14 members killed so far). He was Nelson Noe Garcia Lainez, 39, father of five and a community leader. His execution followed a violent government eviction of indigenous people from their homes because they were protesting the megadam project (Agua Zarca, funded in part by USAID) that would destroy their ancestral land. The Associated Press reported, with profound but apparently unintended irony: “The United States Embassy condemned the killing, saying that ‘coming so close to the murder of his colleague Berta Cáceres, his death is cause for particular concern.’” So it would not be a cause for concern had it happened later? When Latino USA asked if Clinton “is still proud of the hell she helped routinize in Honduras,” a Clinton spokesperson said criticism of Clinton’s Honduras policy “simply nonsense.” Clinton is not known to have expressed regret for any part of her Honduran activities, not even sending children back to hell. Running an empire ain’t for sissies. For Hondurans it does not really matter whether the Democratic or Republican Party wins. The USA government has always maintained close ties with the arm forces and the corporate and political elite groups; and that is why they have turned this country into a huge United States military base. On our grounds we have 13 United States military bases. US was behind the coup back in 2009 which harmed us in evry way. One thing is the people of the United States; however, its government is a totally different story. Hilary Clinton speaking at a Rally in North Carolina, May 2, 2008. (Photo: Keith Kissel / Flickr)Is it too soon to predict who will be the next president of the United States? Without officially declaring her intention to run again, Hillary Clinton has cornered Democratic frontrunner status. Given the weak and crowded Republican field, that makes her the presumptive next occupant of a prestigious office lacking – as comedian Jon Stewart observes – any corners. Clinton’s apparent unbeatability this time around helps explain the right-wing hysteria over the Benghazi tragedy. The conspiracy theories about the attack that killed the U.S. ambassador to Libya amount to a desperate effort to discredit the Democratic Party’s strong centrist candidate. It’s no surprise that this ploy isn’t making a dent on her popularity. What beats me is why more Democrats aren’t deeply troubled by the legacy of Clinton’s foreign policy blunder in Honduras. Maybe you’ve forgotten what happened in that small country in the first year of the Obama administration — more on that in a moment. But surely you’ve noticed the ugly wave of xenophobia greeting a growing number of Central American child refugees arriving on our southern border. Some of President Barack Obama’s supporters are trying to blame this immigration crisis on the Bush administration because of an anti-trafficking law George W. signed in 2008 specifically written to protect Central American children that preceded an uptick in their arrivals. But which country is the top source of kids crossing the border? Honduras, home to the world’s highest murder rate, Latin America’s worst economic inequality, and a repressive U.S.-backed government. When Honduran military forces allied with rightist lawmakers ousted democratically elected President Manuel Zelaya in 2009, then-Secretary of State Clinton sided with the armed forces and fought global pressure to reinstate him. Washington wields great influence over Honduras, thanks to the numerous military bases built with U.S. funds where training and joint military and anti-drug operations take place. Since the coup, nearly $350 million in U.S. assistance, including more than $50 million in military aid has poured into the country. That’s a lot of investment in a nation where the police, the military, and private security forces are killing people with alarming frequency and impunity, according to Human Rights Watch. In short, desperate Honduran children are seeking refuge from a human rights nightmare that would cast a dark cloud over Clinton’s presidential bid right now if the media were paying any attention. That wouldn’t give Republicans a big advantage, of course. Until they stop alienating a majority of female voters and communities of color, I find it hard to see the party of Mitt Romney and John McCain winning the White House. Given the Democratic Party’s demographic edge, progressives have nothing to lose by seizing on the GOP field’s weakness and pressing for a viable alternative to another Clinton administration. Senator Elizabeth Warren could prove a contender. Unfortunately, the consumer-rights firebrand and Massachusetts Democrat lacks any foreign policy experience. And foreign policy is no afterthought these days. Israel – the recipient of $3.1 billion a year in U.S. military aid – is waging a ground war in Gaza, and the stakes in the Russia-Ukraine conflict just grew following the downing of that Malaysia Airlines jet. Plus, Iraq is growing more violent and unstable once more. On all these issues, Clinton is more hawkish than most of the Democratic base. But other Democrats with a wide range of liberal credentials and foreign policy expertise are signaling some interest in running, especially if Clinton ultimately sits out the race. Even if Clinton does win in 2016, a serious progressive primary challenge could help shape her presidency. As more and more Honduran kids cross our border in search of a safe haven, voters should take a good look at her track record at the State Department and reconsider the inevitability of another Clinton administration. The US Department of State had prior knowledge of the coup. The Department of State and the US Congress funded and advised the actors and organisations in Honduras that participated in the coup. The Pentagon trained, schooled, commanded, funded and armed the Honduran armed forces that perpetrated the coup and that continue to repress the people of Honduras by force. The US military presence in Honduras, that occupies the Soto Cano (Palmerola) military base, authorised the coup d’etat through its tacit complicity and refusal to withdraw its support of the Honduran military involved in the coup. The US ambassador in Tegucigalpa, Hugo Llorens, coordinated the removal from power of President Manuel Zelaya, together with Assistant Secretary of State Thomas Shannon y John Negroponte, who presently works as an advisor to Secretary of State Hillary Clinton. From the first day the coup occurred, Washington has referred to “both parties” involved and the necessity for “dialogue” to restore constitutional order, legitimising the coup leaders by regarding them as equal players instead of criminal violators of human rights and democratic principles. The Department of State has refused to legally classify the events in Honduras as a “coup d’etat”, nor has it suspended or frozen its economic aid or commerce to Honduras, and has taken no measures to effectively pressure the de facto regime. Washington manipulated the Organization of American States (OAS) in order to buy time, therefore allowing the coup regime to consolidate and weaken the possibility of President Zelaya’s immediate return to power, as part of a strategy still in place that simply seeks to legitimate the de facto regime and wear down the Honduran people that still resist the coup. Secretary of State Clinton and her spokesmen stopped speaking of President Zelaya’s return to power after they designated Costa Rica’s president Oscar Arias as the “mediator” between the coup regime and the constitutional government; and now the State Department refers to the dictator that illegally took power during the coup, Roberto Micheletti, as the “interim caretaker president”. The strategy of “negotiating” with the coup regime was imposed by the Obama administration as a way of discrediting President Zelaya – blaming him for provoking the coup – and legitimising the coup leaders. Members of the US Congress – Democrats and Republicans – organised a visit of representatives from the coup regime in Honduras to Washington, receiving them with honors in different arenas in the US capital. Despite the fact that originally it was Republican Senator John McCain who coordinated the visit of the coup regime representatives to Washington through a lobby firm connected to his office, The Cormac Group, now, the illegal regime is being representated by top notch lobbyist and Clinton attorney Lanny Davis, who is using his pull and influence in Washington to achieve overall acceptance – cross party lines – of the coup regime in Honduras. Otto Reich and a Venezuelan named Robert Carmona-Borjas, known for his role as attorney for the dictator Pedro Carmona during the April 2002 coup d’etat in Venezuela, aided in preparing the groundwork for the coup against President Zelaya in Honduras. The team designated from Washington to design and help prepare the coup in Honduras also included a group of US ambassadors recently named in Central America, experts in destabilising efforts against the Cuban revolution, and Adolfo Franco, ex administrator for USAID’s Cuba “transition to democracy” program. No one doubts that the fingerprints of Washington are all over the coup d’etat against President Manuel Zelaya that began on June 28. Many analysts, writers, activists and even presidents, have denounced this role. Nevertheless, the majority coincide in excusing the Obama Administration from any responsibility in the Honduran coup, blaming instead the lingering remains of the Bush-Cheney era and the war hawks that still pace the halls of the White House. The evidence demonstrates that while it is certain that the usual suspects who perpetrate coups and destabilisation activities in Latin America are involved, ample proof exists confirming the direct role of the new administration in Washington in the Honduran coup. The new form of diplomacy of the United States, known as “smart power”, has played a principal role before, during and after the coup in Honduras. During a press briefing on July 1, spokespeople for the Department of State admitted to having prior knowledge of the coup in Honduras, clarifying that US diplomats had been meeting with the groups and actors planning the coup to encourage a different “solution” to their discontent with President Zelaya. [i] The State Department also confirmed that two high level representatives from the Department, which included Assistant Secretary of State for Western Hemisphere Affairs Thomas Shannon and Deputy Assistant Secretary of State Craig Kelley, were in Honduras the week prior to the coup and maintained meetings with the civilian and military groups that later participated in the illegal overthrow of a democratically elected president. They state their mission was to “urge against” the coup, but evidently such verbal pressure was insufficient to discourage the actors involved in the coup, particularly considering the actions manifested by Washington contradicted those harsh words. Now it was clear, after this meeting, that Washington would no longer consider Zelaya’s return to the presidency as a necessary solution but rather would lobby for a “negotiation” with the coup regime, that in the end, favours US interests. Sources that were present at the Organisation of American States (OAS) meetings that took place after the coup affirm that the presence of a high-level US delegation intensified the pressure against other States to urge for a “negotiated” solution that didn’t necessarily imply the return to power of President Zelaya. On June 4, 2009, just weeks before the coup d’etat against President Zelaya, Ambassador Llorens declared to the Honduran press that “…One can’t violate the Constitution in order to create another Constitution, because if one doesn’t respect the Constitution, then we all live under the law of the jungle.”[vi] Those declarations were made in reference to the national opinion survey on the possibility of convening a constitutional convention during 2010, that would have taken place on June 28th if the coup d’etat against President Zelaya hadn’t occured. The commentaries made by Llorens evidence not only his position against the survey, but also his interference in the internal affairs of Honduras. But Llorens wasn’t alone in the region. After his nomination as US Ambassador in Honduras – position that he was assigned to due to the urgent necessity to neutralise the growing presence of leftist governments in the region and impede the regional potency of ALBA – several other US ambassadors were also named in neighboring nations, all experts in destabilising the Cuban revolution and executing psychological warfare. The diplomat Robert Blau arrived first to the US embassy in El Salvador, on July 2, 2008, named as second in command. In January 2009, Blau became the Charge d’Affairs at the Embassy. Before arriving to El Salvador, Blau was subdirector of Cuban affairs at the Department of State in Washington, after working for two years at the US Interests Section in Havana, Cuba, as a Political Counselor. His work with Cuban dissidents was so successful that Blau was honored with the Department of State James Clement Dunn Award for Excellence. Llorens and Blau were old friends, after working together as part of Otto Reich’s team in the State Department. Ambassador Robert Callahan arrived to Managua, Nicaragua, also at the beginning of August. Callahan has worked at the US embassies in La Paz, Bolivia, and San José, Costa Rica, and was a distinguished professor at the National War College. In 2004, he was sent to Iraq as press attaché at the US Embassy in Baghdad. Upon his return, he established the press and propaganda office at the newly created Directorate of National Intelligence (DNI) in Washington, which today is the most powerful entity in the US intelligence community. Together, these ambassadors – experts in coup d’etats, destabilisation and propaganda – prepared the terrain for the coup against President Zelaya in Honduras. Just one month before the coup against President Zelaya occured, a coalition of different organisations, business associations, political parties, high level members of the Catholic Church and private media outlets, was formed in opposition to Zelaya’s policies. The coalition was called the “Democratic Civil Union of Honduras”. It’s only objective was to oust President Zelaya from power in order to impede the future possibility of a constitutional convention to reform the constitution, which would allow the people a voice and a role in their political process. The “Democratic Civil Union of Honduras” is composed of organisations including the National Anticorruption Council, the Archbishop of Tegucigalpa, Honduran Council of Private Enterprise (COHEP), Council of University Deans, Workers’ Federation of Honduras (CTH), National Convergence Forum, National Federation of Commerce and Industry of Honduras (FEDECAMARA), Association of Communication Media (AMC), the Group Peace & Democracy and the student group Generation for Change. The majority of these organisations have been the beneficiaries of the more than $50 million annually disbursed by USAID and the National Endowment for Democracy (NED) for “democracy promotion” in Honduras. In fact, a USAID report regarding its funding and work with COHEP, described how the “low profile maintained by USAID in this project helped ensure the credibility of COHEP as a Honduran organisation and not an arm of USAID.” Which basically means that COHEP is, actually, an arm of USAID. The spokespeople for the Democratic Civil Union of Honduras representing, according to them, “civil society”, declared to the Honduran press on June 23rd – five days before the coup took place against President Zelaya – that they “trust the armed forces will comply with their responsibility to defend the Constitution, the Law, peace and democracy.” When the coup took place on June 28th, they were the first to immediately claim that a coup had not occured, but rather “democracy had been saved” from the hands of President Zelaya, whose crime was to attempt to give voice and visibility to the people. Representing the biased middle and upperclasses, the Democratic Civil Union has qualified Zelaya’s supporters as “hoards”. The International Republican Institute (IRI), entity that receives funding from the National Endowment for Democracy (NED), received more than $1.2 million in 2009 to work with political groups in Honduras. IRI’s work has been dedicated to supporting “think tanks” and “pressure groups” to influence political parties and “support initiatives to implement political positions during the campaigns in 2009.” This is a clear example of intervention in the internal politics of Honduras and evidence of NED and IRI funding to those groups involved in the coup. Republican Senator John McCain, ex US presidential candidate, helped coordinate the visit of a coup regime delegation to Washington last week. McCain is well known for his opposition to governments in Venezuela, Bolivia and other countries in the region considered “anti-imperialist”. McCain also maintains very close ties to the Cuban exile community in Miami. McCain is also Chairman of the Board of the International Republican Institute (IRI) that has funded the coup participants in Honduras. McCain offered the services of a lobby firm in Washington, closely tied to him, the Cormac Group, that organised a press conference for the coup regime delegation at the National Press Club on June 7th. McCain also helped set up several meetings in Congress with the traditional Cuban-American representatives and those general “Chávez-haters”, such as Connie Mack, Ileana Ros-Lehtinen and Mel Martinez. But beyond the Republican connection to the Honduran coup regime, there is a even more damning link to the current Democrat administration in Washington. Lawyer Lanny Davis was hired by the Business Council of Latin America (CEAL) to lobby in favour of the coup regime and convince the powers in Washington to accept and recognise the de facto government in Honduras. Lanny Davis was special counsel to ex President Bill Clinton from 1996-1998 and he is a close friend and advisor to Secretary of State Hillary Clinton. Davis is organising a diplomatic offensive and public relations blitz in favour of the coup regime, including the strategic placement of advertisements in important US media that seek to legitimise the de facto Honduran government, and he is organising meetings and hearings with members of Congress, the State Department and the White House. CEAL represents the conservative business community in Latin America, including those that have promoted and participated in previous attempts to oust democratic governments via coup d’etats and/or other forms of sabotage. For example, the Venezuelan representative of CEAL is Marcel Granier, president of RCTV, the television station that heavily participated in the 2002 coup against President Chávez and that consistently has violated Venezuelan law in order to promote its political agenda. As part of this offensive, Lanny Davis arranged a special hearing before the House Foreign Relations Committee, attended by high level members of Congress and overseen by Democrat Elliot Engel (congressman from New York). Testimonies were given at the hearing by representatives of the coup regime from Honduras and others who have supported the coup – directly and indirectly – such as Michael Shifter from the InterAmerican Dialogue, Guillermo Pérez-Cadalso, ex Honduran foreign minister and supreme court judge, and the infamous Otto Reich, a Cuban-American well known for his role in the majority of destabilisation activities against leftist and progressive governments in Latin America throughout the eighties. Reich, who was named Special Advisor on Latin America to President George W. Bush, also played a key role in the 2002 coup against President Chávez. As a result of this hearing, the US Congress is currently trying to pass a resolution that recognises the coup regime in Honduras as a legitimate government. Another consequence of Lanny Davis’ lobbying efforts was the meeting arranged in the Council of the Americas Washington office on June 9th. This event included the participation of Jim Swigert, Director of Programs in Latin America and the Caribbean for the National Democratic Institute (NDI), entity that receives its funding from NED and USAID, Cris Arcos, former US ambassador to Honduras, and Adolfo Franco, ex USAID Administrator for Latin America and the Caribbean, and the director of the “transition to democracy” program for Cuba. These three characters are working as advisors to the Obama administration on the Honduran crisis. Franco, who was previously advisor on foreign policy to John McCain during his presidential campaign in 2008, has been accused of corruption for his mismanagement of USAID funds destined for the Cuba “democracy” program. Franco diverted a large quantity of these funds, totaling over $40 million, to groups such as the Committee for a Free Cuba and the Institute for Cuban Studies in Miami, without adhering to a transparent process of funds disbursement. Many analysts and specialists on Latin American have speculated on the role of former ambassador to Honduras John Negroponte, who directed the paramilitary forces and death squads known as the “Contra” against leftist movements in Central America during the 1980s. Negroponte held various high level positions during the Bush administration, including US Ambassador to Iraq, US Ambassador to the United Nations, National Director of Intelligence and lastly, subsecretary of state, second only to Condoleezza Rice. After leaving the Department of State in January 2009, Negroponte entered the private sector, as is custom amongst former top government officials. He was offered a job as vice-president at the most influential and powerful consulting firm in Washington, McLarty Associates. Negroponte accepted the job. McLarty Associates was founded by Thomas “Mack” McLarty, former chief of staff for President Bill Clinton and also Clinton’s Special Envoy to Latin America. Since the end of the Clinton administration, McLarty has managed the most powerful strategic consulting firm in Washington, which until just last year, was called Kissinger-McLarty Associates due to the merging of Thomas McLarty and Henry Kissinger. This partnership clearly evidenced the bi-partisan unions that truly craft the most important policies in Washington. 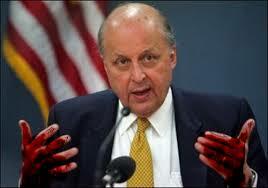 In his new role, John Negroponte presently works as advisor to Secretary of State Hillary Clinton. Remember, the current US ambassador to Honduras, Hugo Llorens, has worked closely under Negroponte’s domain during the majority of his career. So it would not be a far jump to consider that John Negroponte, expert in crushing leftist movements in Central America, has played a role in the current coup against President Zelaya in Honduras. 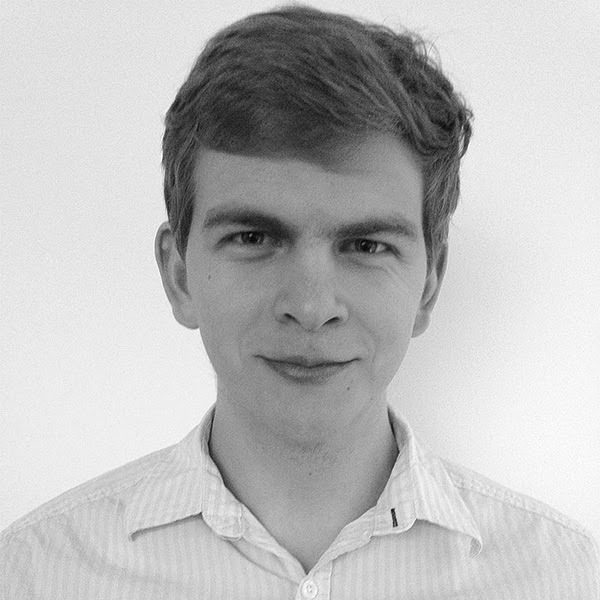 Otto Reich has also been investing his energy during the last couple of years in a campaign against President Zelaya. The Honduran president actually threatened to sue Reich for defamation in April 2009, after Reich accused President Zelaya of stealing $100 million from the state-owned telecommunications company, Hondutel. These accustations were never backed by evidence, and the truth was revealed soon after that explained Reich’s interest in Hondutel. Through his consulting and lobbying firm, Otto Reich Associates, the Cuban-American was representing a multinational corporation that was pushing for the privatisation of Hondutel, a move that Zelaya opposed. With President Zelaya out of the picture now, Reich is able to pursue the multi-million dollar deal. The United States maintains a large military presence in Honduras in the Soto Cano (Palmerola) base, located about 50 miles from the capital, Tegucigalpa, that has been actively operating since 1981, when it was heavily occupied by the US Ronald Reagan Administration and used for its operations in Central America. During the eighties, Soto Cano was used by Colonel Oliver North as a base of operations of the “Contra”, the paramilitary forces trained, armed and funded by the CIA, and charged with executing warfare against all leftist movements in Central America, with particular focus on the neighbouring Sandinista government in Nicaragua. From Soto Cano, the “Contra” launched terrorist attacks, psychological warfare (overseen by Otto Reich’s Office for Public Diplomacy), death squads and special covert missions that resulted in the assassination of tens of thousands of farmers and civilians, thousands of disappeared, tortured, wounded and terrorised all throughout the region. John Negroponte, US ambassador at the time in Honduras, together with Oliver North and Otto Reich, directed and oversaw these dirty operations. They later became involved in the Iran-Contra scandal once the US Congress cut the funding for the paramilitary groups and death squads used by the Reagan Administration to neutralise the leftist movements in the region, and the Negroponte-North-Reich team sold arms to Iran to continue funding their covert operations. The Soto Cano base houses the US Joint Task Force-Bravo military group, composed of members from the army, air force, joint security forces and the First Batallion Regiment 228 of the US Air Force. The current total presence of US forces on the base numbers approximately 600, and includes 18 combat planes, UH-60 Black Hawk helicopters and CH-47 Chinook helicopters, used for special warfare operations. The Honduran Aviation Academy is also located on the Soto Cano base. More than 650 Honduran and US citizens also live inside the base installations. The Honduran constitution does not legally permit the presence of foreign military in the country. A “handshake” agreement was made between Washington and Honduras authorising the “semi-permanent” important and strategic presence of hundreds – at times thousands – of US military personnel on the base. The agreement was made in 1954, in exchange for the multimillion dollar aid the US provides to the Honduran armed forces, which ranges from training programs, arms and military equipment and joint exercises and operations that take place on the ground in Honduras. The base was first employed by the US military and CIA to launch the coup d’etat against Jacobo Arbenz in Guatemala in 1954. Each year, Washington authorises hundreds of millions of dollars in military and economic aid to Honduras, which is the third-poorest country in the western hemisphere, after Haiti and Nicaragua. This “exchange” securing the US military presence in the Central American nation can be terminated at any time by the Honduran government, without much notice. On May 31, 2008, President Manuel Zelaya announced that Soto Cano (Palmerola) would be converted into an international civilian airport. The construction of the airport terminal would be financed with a fund from the Bolivarian Alliance of the Americas (ALBA – of which Bolivia, Cuba, Ecuador, Dominique, Honduras, Nicaragua, St. Vicents, Antigua and Barbados and Venezuela are members). This obviously was a huge threat to the future US military presence in Honduras. The two generals that have participated in key roles in the coup against President Zelaya are both graduates of the US School of the Americas, famous for training dictators, torturers and repressors in Latin America, and they maintain very close ties with the US military forces based in Honduras. The Commander of the Honduran Air Force General Luis Javier Prince Suazo studied in the famous School of the Americas in 1996. The Head of the Honduran High Military Command, General Romeo Vásquez, who was fired by President Zelaya on June 24, 2009, for disobeying the president’s orders, and later appeared as the principal actor in the military coup just days later, is also a graduate of the School of the Americas. These two high level military officers also maintain close contact with the Pentagon and the Southern Command. The US Ambassador in Honduras through September 2008, when Hugo Llorens was appointed to the position, Charles Ford, was transferred from Honduras to the Southern Command in Florida and charged with providing “strategic advising” to the Pentagon about Latin America, a position he holds today. All of the above evidence – and certainly more to come in the future – proves the undeniable role of Washington in the coup d’etat aginst President Zelaya in Honduras.